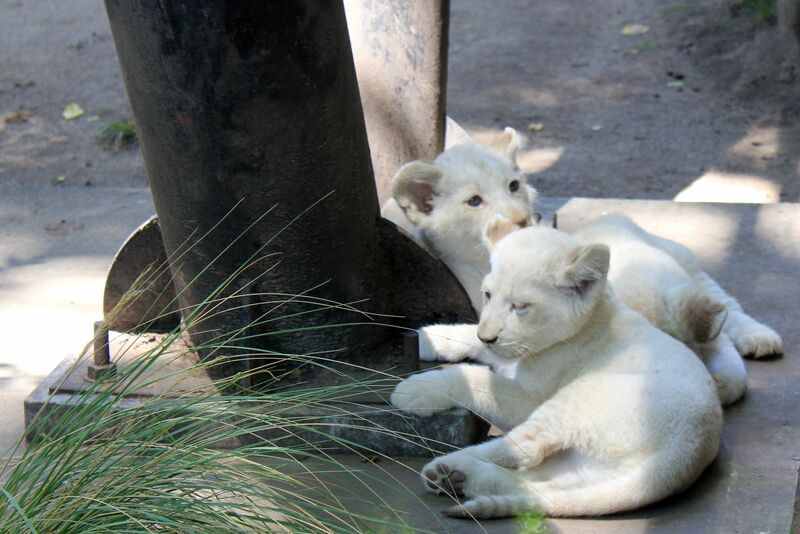 White lions are not albino animals as they largely preserved the pigmentation. 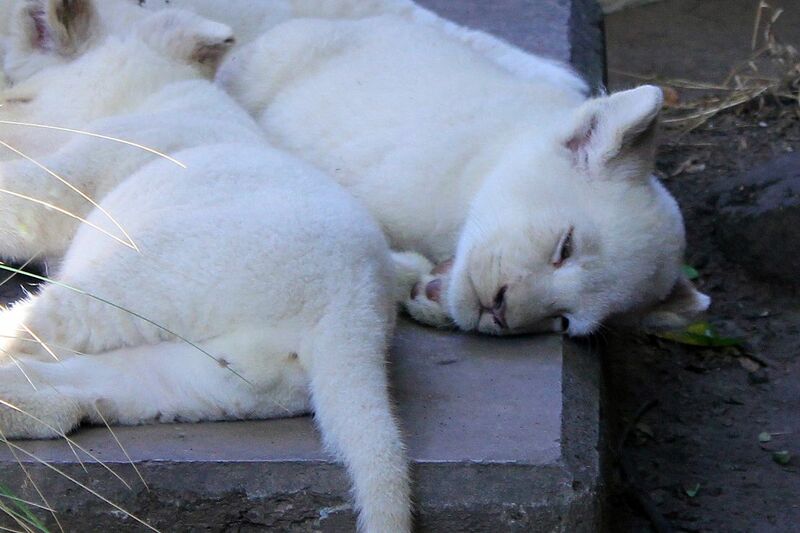 They eyes retain a typical yellow-brown color instead of characteristic for albinos - pink. Just for the records: albinism is a disorder characterized by an absence of pigmentation in the skin, eyes and hairs due to the defect in an enzyme producing melanin. 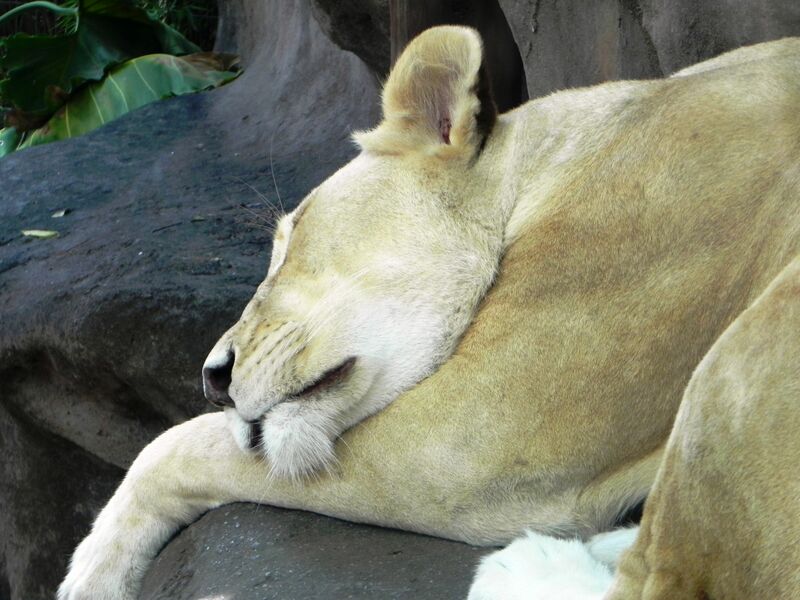 Lack of melanin pigments contributing to brown, black and yellow coloration makes the skin looking pale. The lack of dark pigments on the back of an iris allows the light from inside of the eye to pass through the iris back to the front. 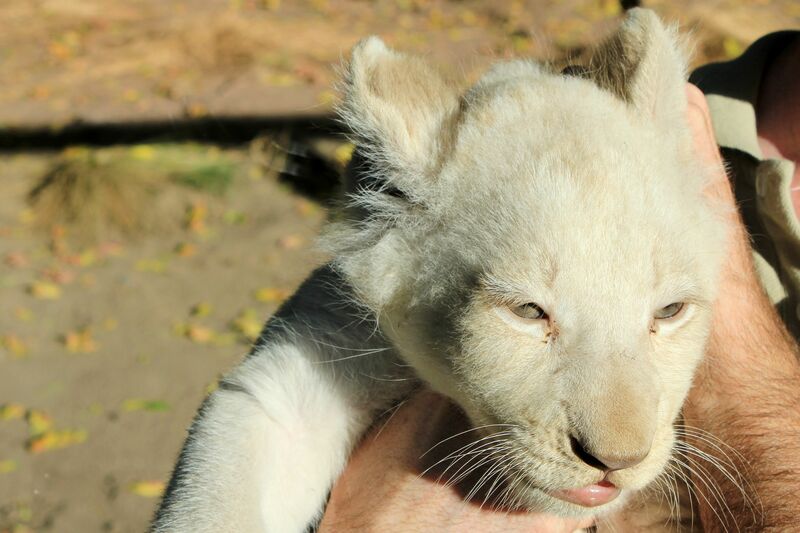 That in turn exposes the hemoglobin in the iris’ capillaries hence the red (pink) color of the eyes in albinos. 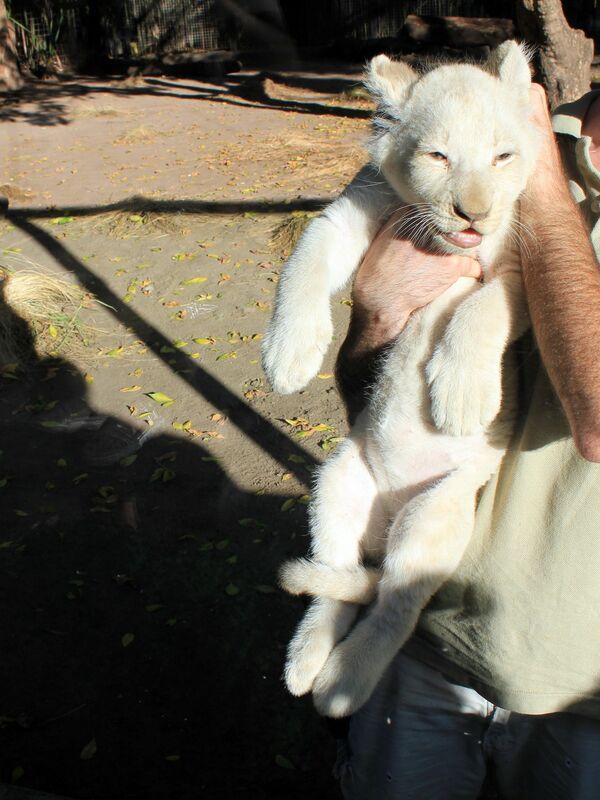 Presentation of the babies - (white lion cubs) to the public made their mother Sofia quite agitated and nervous! 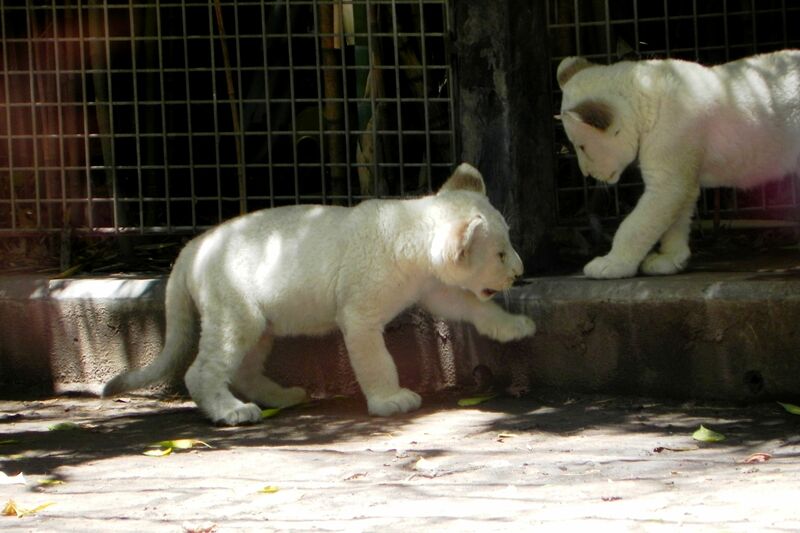 Their white (pale) colors are given by a recessive gene. 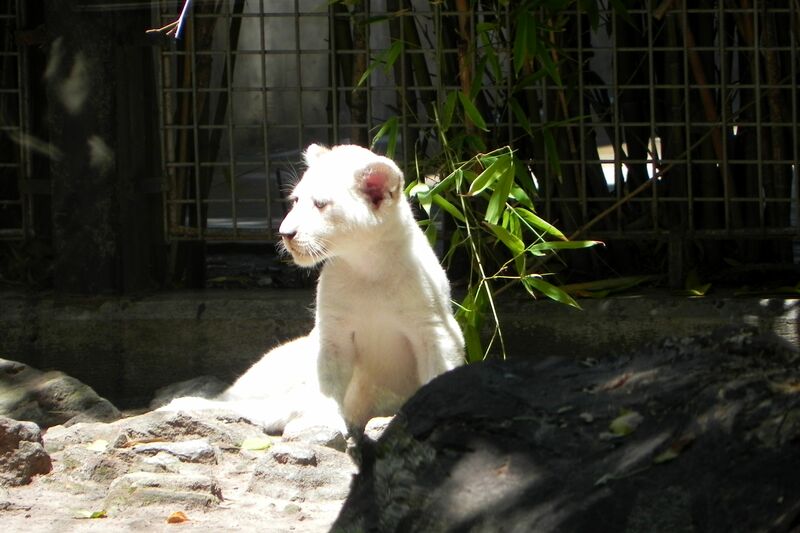 Scientifically, the condition of lost pigmentation in the fur (and in general in skin) while it is present in the eyes is called “leucism”. 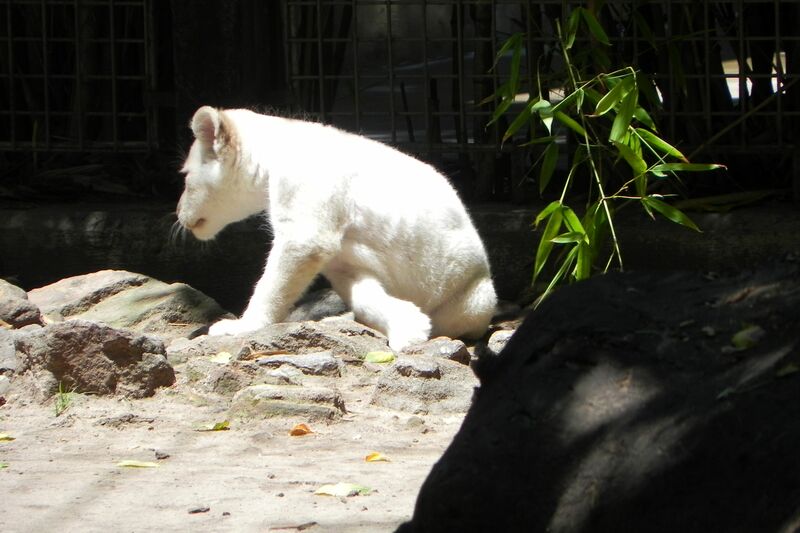 Leucism is a well know as it also affects humans. 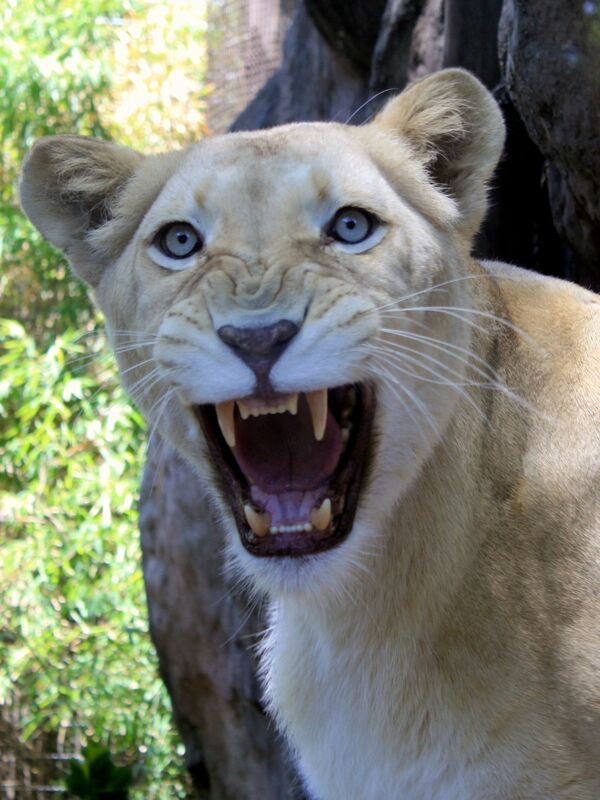 What is still unknown to the scientists is why this condition is observed only in the lions living in the Timbavati area. This is as much close as you can get to the mother Sofia. 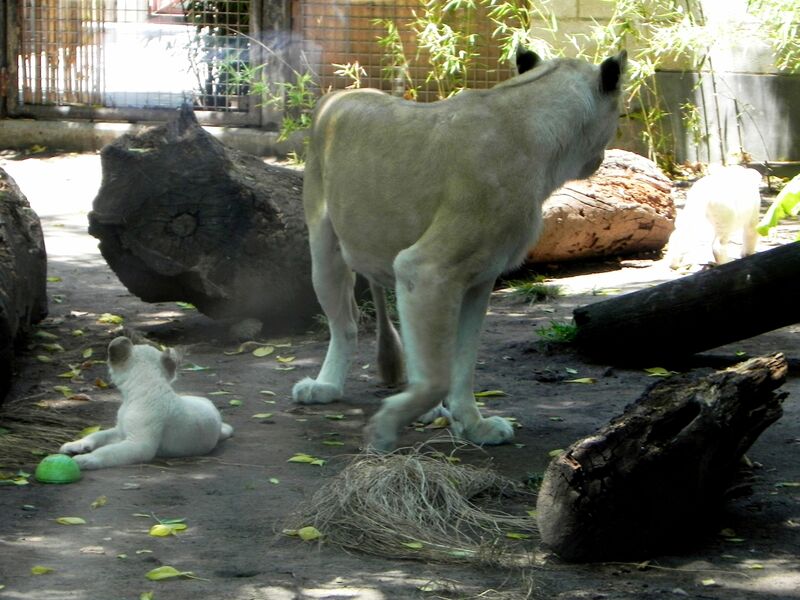 With time the snow-white cubs usually will turn to milky-tea colors (see mother Sofia) presented by the Free White Lions Cubs Pictures. 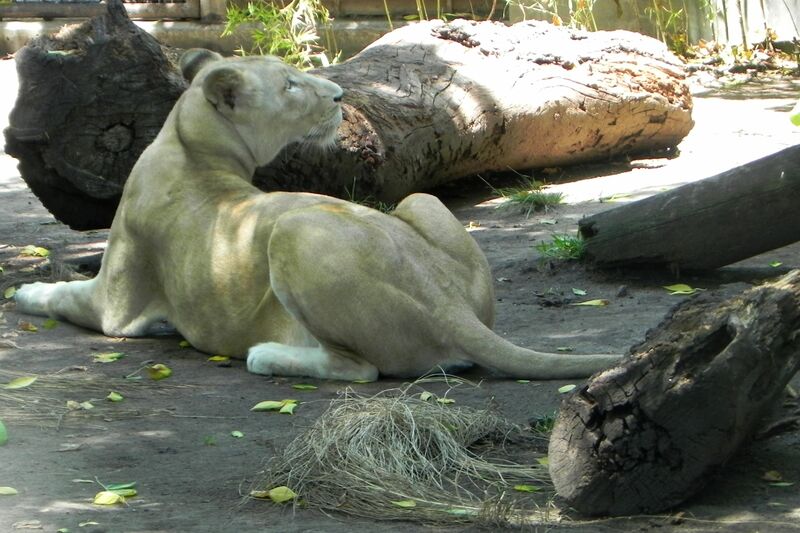 This is actually a fortunate event for potential wild “white lions” because the snow-white color does not provide the camouflage necessary for survival in the environment of savannas. 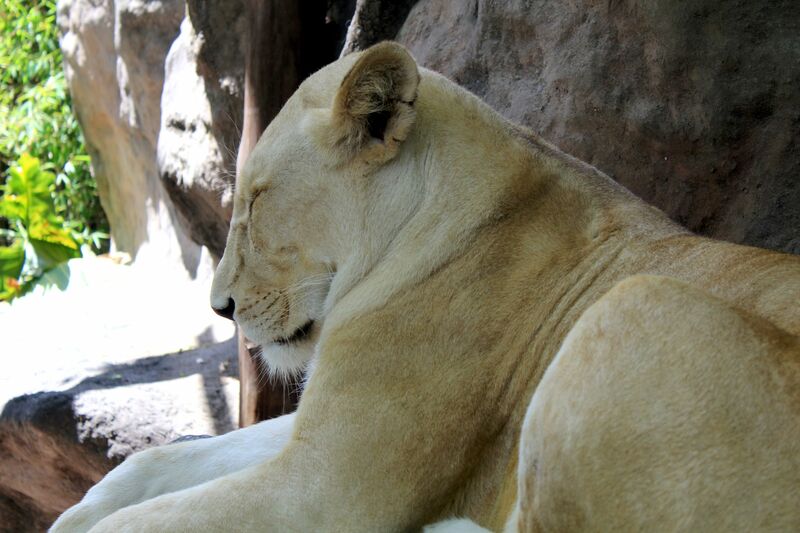 The typical tawny color of African lions proved to be the right choice made “at the beginning of time” by the Mother Nature. 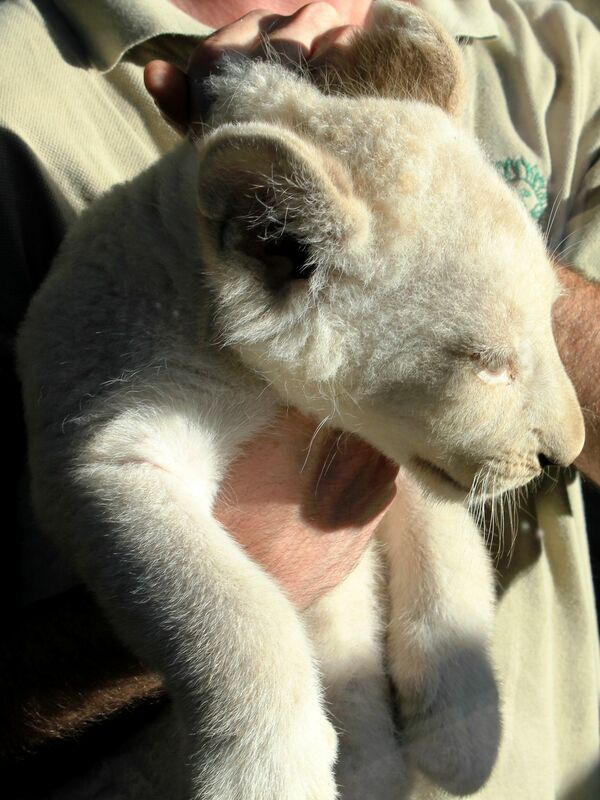 Needless to say that despite of sometimes “unethical” breeding practices, the white lions and specifically white lion’ cubes similarly as white tigers are real magnets bringing huge crowds of visitors to Zoo parks. 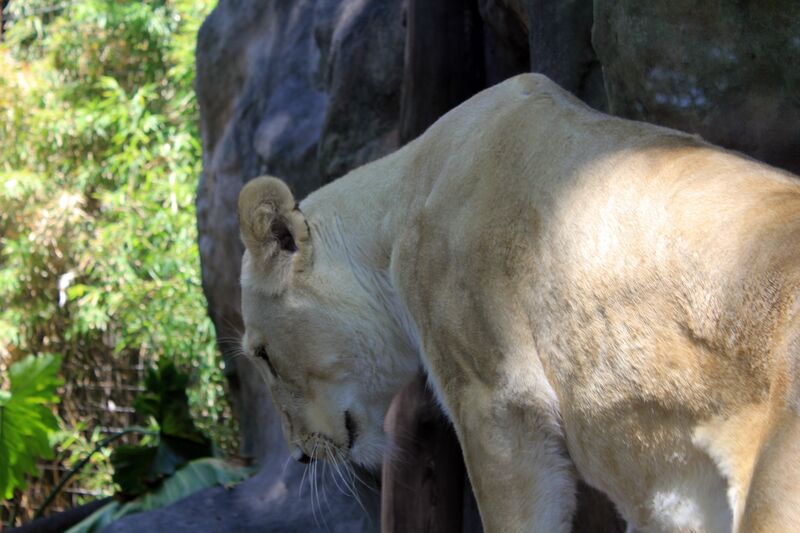 It is then a dual edge sword – it has potential financial benefits required for wildlife protection and conservation institutions as well as raising awareness of public opinion to these noble efforts. 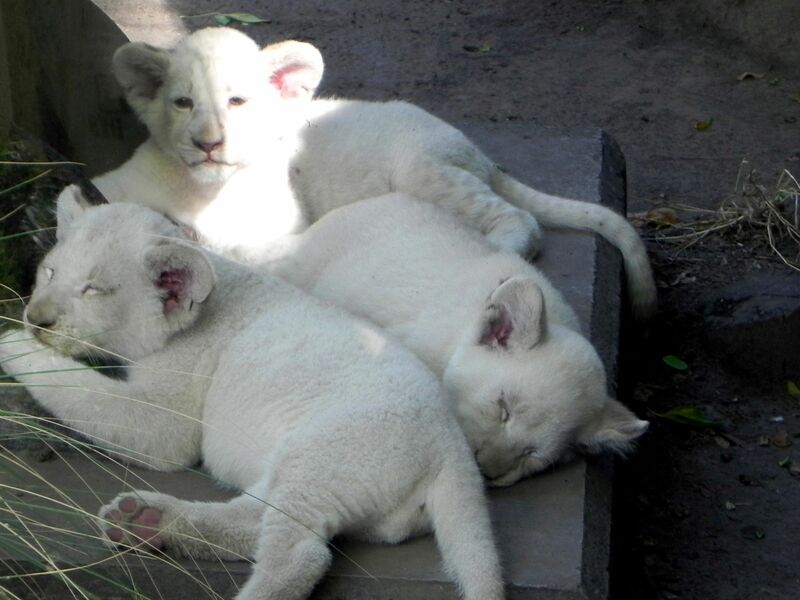 But on the other, darker side – it leads to the disappearance of white lions from the wild as well as potentially dangerous breeding practices to keep the strain alive. 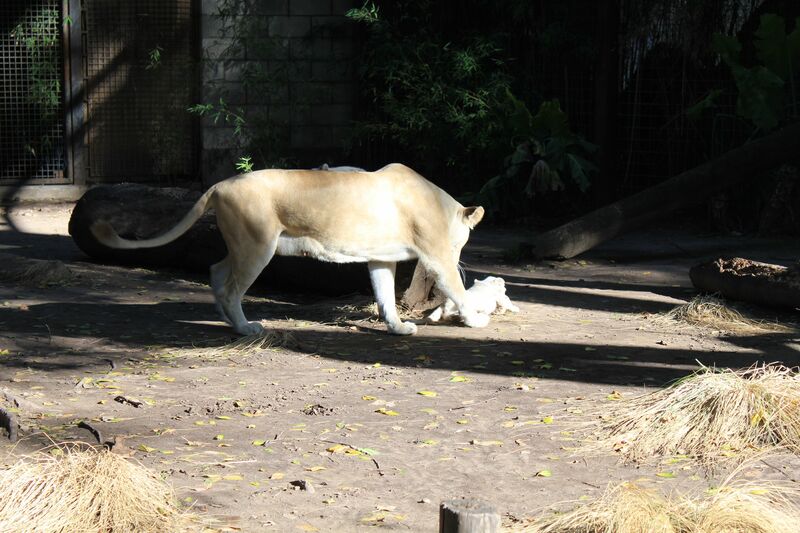 Well, if you do not have the chance to visit these days the Zoo in Buenos Aires (Palermo), please enjoy what you can see on this site.